After a couple weeks of feeling "meh" my appetite is back. My desire for desserts is back. So we made a Lemon Bundt Cake from The Science of Good Cooking. We both like lemon flavor a lot and it's time for lighter, brighter, summery desserts. This hasn't happened to us in quite some time. Oh well. Luckily, the cake is just for us. Of course our families & friends wouldn't care about the patched together portion, but even for family & friends I'd want my dessert to look pretty. I'm not usually a fan of glaze but this "double glazing" turned out terrific. 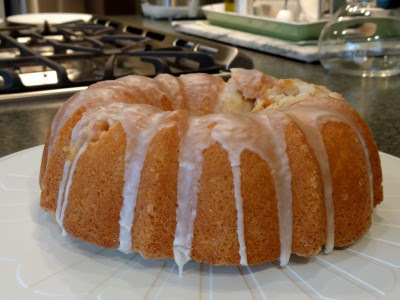 Half the glaze is poured onto the cake when it is still warm and the other half after the cake has cooled. 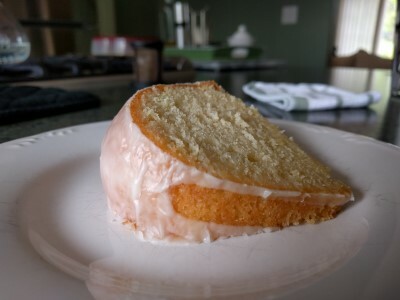 A lot of the glaze ran off our cake, but there's a good amount on it and it's not too sweet or too tart. 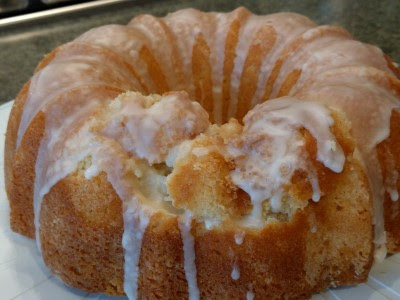 Fluffy, tender cake. 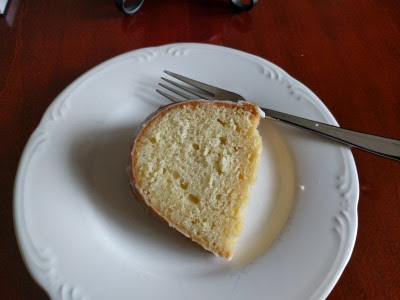 As the recipe stated, the cake was lighter and fluffier the day it was baked and then over time it became a bit more dense and pound cake-like but it was delicious every day. 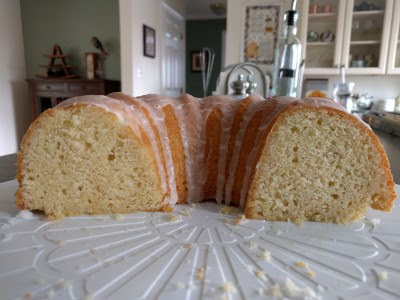 We'd definitely make this cake again. Next time, we'll be more diligent when greasing & flouring the pan. 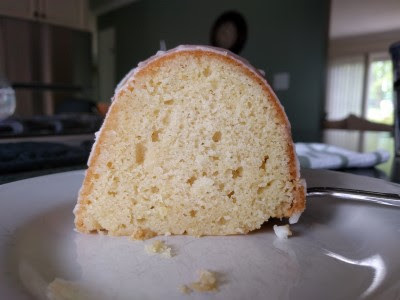 Or maybe we'll invest in a new, non-stick bundt pan and retire my 28+ year old non-stick bundt pan. Delicious for dessert. And breakfast. 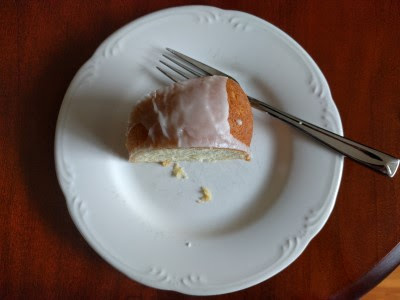 After photographing this piece, I couldn't let it sit around and get hard and stale, could I?